For the video game, see 2014 FIFA World Cup Brazil (video game). "2014 World Cup" redirects here. For the basketball tournament, see 2014 FIBA Basketball World Cup. For other uses, see 2014 World Cup (disambiguation). "FIFA 2014" redirects here. For the video game, see FIFA 14. Thirty-one national teams advanced through qualification competitions to join the host nation in the final tournament (with Bosnia and Herzegovina as only debutant). A total of 64 matches were played in 12 venues located in as many host cities across Brazil. For the first time at a World Cup finals, match officials used goal-line technology, as well as vanishing spray for free kicks. FIFA Fan Fests in each host city gathered a total of 5 million people, and the country received 1 million visitors from 202 countries. Every World Cup-winning team since the first tournament in 1930 – Argentina, Brazil, England, France, Germany, Italy, Spain and Uruguay – qualified for this tournament. Spain, the title holders, were eliminated at the group stage, along with England and Italy. Uruguay were eliminated in the round of 16, and France exited in the quarter-finals. Host nation Brazil, who had won the 2013 FIFA Confederations Cup, lost to Germany 7–1 in the semi-finals and eventually finished in fourth place. In the final, Germany defeated Argentina 1–0 to win the tournament and secure the country's fourth world title, the first after the German reunification in 1990, when as West Germany they also beat Argentina in the World Cup final. Germany became the first European team to win a World Cup staged in the Americas, and this result marked the third consecutive title won by a European team, after Italy in 2006 and Spain in 2010. In March 2003, FIFA announced that the tournament would be held in South America for the first time since 1978, in line with its then-active policy of rotating the right to host the World Cup among different confederations. With the 2010 FIFA World Cup hosted in South Africa, it would be the second consecutive World Cup outside Europe, which was a first for the tournament. It was also second in the Southern Hemisphere. 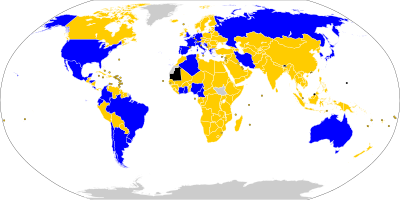 Only Brazil and Colombia formally declared their candidacy but, after the withdrawal of the latter from the process, Brazil was officially elected as host nation unopposed on 30 October 2007. Following qualification matches played between June 2011 and November 2013, the following 32 teams – shown with their last pre-tournament FIFA world ranking – qualified for the final tournament. Twenty-four of these teams were returning participants from the 2010 World Cup. Bosnia and Herzegovina were the only team with no previous appearance at the World Cup finals. [nb 2] Colombia qualified for the World Cup after 16 years of absence, while the 2018 World Cup hosts Russia and Belgium returned after 12 years. Paraguay failed to qualify for the first time since 1994. This was also the first World Cup for 32 years that did not feature a representative from the Nordic countries. The highest ranked team not to qualify was Ukraine (ranked 16th), while the lowest ranked team that did qualify was Australia (ranked 62nd). In March 2013, FIFA published a list of 52 prospective referees, each paired, on the basis of nationality, with two assistant referees, from all six football confederations for the tournament. On 14 January 2014, the FIFA Referees Committee appointed 25 referee trios and eight support duos representing 43 countries for the tournament.Yuichi Nishimura from Japan acted as referee in the opening match whereas Nicola Rizzoli from Italy acted as referee in the final. As with the 2010 tournament, each team's squad consists of 23 players (three of whom must be goalkeepers). Each participating national association had to confirm their final 23-player squad no later than 10 days before the start of the tournament. Teams were permitted to make late replacements in the event of serious injury, at any time up to 24 hours before their first game. During a match, all remaining squad members not named in the starting team are available to be one of the three permitted substitutions (provided the player is not serving a suspension). For a third consecutive World Cup tournament, FIFA staged FIFA Fan Fests in each of the 12 host cities throughout the competition. Prominent examples were the Copacabana Beach in Rio de Janeiro, which already held a Fan Fest in 2010, and São Paulo's Vale do Anhangabaú. The first official event took place on Iracema Beach, in Fortaleza, on 8 June 2014. To avoid ghost goals the 2014 World Cup introduced goal-line technology following successful trials at among others 2013 Confederations Cup. The chosen Goal Control system featured 14 high speed cameras, 7 directed to each of the goals. Data were sent to the central image-processing centre, where a virtual representation of the ball was output on a widescreen to confirm the goal. The referee was equipped with a watch which vibrated and displayed a signal upon a goal. France's second goal in their group game against Honduras was the first time goal-line technology was needed to confirm that a goal should be given. 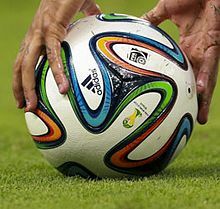 The Adidas Brazuca was the official match ball of the 2014 FIFA World Cup and was supplied by Forward Sports of Sialkot, Pakistan. Adidas created a new design of ball after criticisms of the Adidas Jabulani used in the previous World Cup. The number of panels was reduced to six, with the panels being thermally bonded. This created a ball with increased consistency and aerodynamics compared to its predecessor. Furthermore, Adidas underwent an extensive testing process lasting more than two years to produce a ball that would meet the approval of football professionals. Because of the relatively high ambient temperatures in Brazil, particularly at the northern venues, cooling breaks for the players were introduced. Breaks could take place at the referee's discretion after the 30th minute of each half if the Wet Bulb Globe Temperature exceeded 32 °C (90 °F). On 12 June 2014, the 20th addition of the FIFA World Cup got underway with the opening ceremony at Arena de São Paulo, São Paulo, Brazil. The event saw 660 dancers take to the stadium and perform in a ceremony which celebrated the nature of the country and its love of football. Following the dancers native singer Claudia Leitte emerged on cetre stage to perform to the crowd. She was later joined by Cuban, American rapper Pitbull, and American singer Jennifer Lopez to perform the tournament's official song "We Are One (Ole Ola)" which saw official single release on 8 April 2014. Following the ceremony the opening match was played which saw the hosts come from behind to beat Croatia 3-1. The group stage of the cup took place in Brazil from 12 June 2014 to 26 June 2014: each team played three games. The group stage was notable for a scarcity of draws and a large number of goals. The first drawn (and goalless) match did not occur until the 13th match of the tournament, between Iran and Nigeria: a drought longer than any World Cup since 1930. The group stage produced a total of 136 goals (an average of 2.83 goals per match), nine fewer than were scored during the entire 2010 tournament. This is the largest number of goals in the group stage since the 32-team system was implemented in 1998 and the largest average in a group stage since 1958. World Cup holders Spain were eliminated after only two games, the quickest exit for the defending champions since Italy's from the 1950 tournament. Spain also became the fourth nation to be eliminated in the first round while holding the World Cup crown, the first one being Italy in 1950 (and again in 2010), the second Brazil in 1966, and the third France in 2002. Germany qualified for the final for the eighth time with a historic 7–1 win over Brazil – the biggest defeat in Brazilian football since 1920. Miroslav Klose's goal in this match was his 16th throughout all World Cups, breaking the record he had previously shared with Ronaldo. Klose set another record by becoming the first player to appear in four World Cup semi-finals. Argentina reached their first final since 1990, and the fifth overall after overcoming the Netherlands in a penalty shoot-out following a 0–0 draw at the end of extra time. This marked the first time that teams from the same continent had won three consecutive World Cups (following Italy in 2006 and Spain in 2010). It was also the first time that a European nation had won the World Cup in the Americas. On aggregate Europe then had 11 victories, compared to South America's 9 victories. In total, 171 goals were scored by a record 121 players, with five credited as own goals. Goals scored from penalty shoot-outs are not counted. James Rodríguez was awarded the Golden Boot for scoring six goals, the first time that a Colombian player received the award. Per statistical convention in football, matches decided in extra time are counted as wins and losses, while matches decided by penalty shoot-outs are counted as draws. Costs of the tournament totalled $11.6 billion, making it the most expensive World Cup to date, until surpassed by 2018 FIFA World Cup which cost an estimated $14.2 billion. FIFA was expected to spend US$2 billion on staging the finals, with its greatest single expense being the US$576 million prize money pot. The Brazilian government pledged US$900 million to be invested into security forces and that the tournament would be "one of the most protected sports events in history." The marketing of the 2014 FIFA World Cup included sale of tickets, support from sponsors and promotion through events that utilise the symbols and songs of the tournament. Popular merchandise included items featuring the official mascot as well as an official video game that has been developed by EA Sports. The official song of the tournament was "We Are One (Ole Ola)" with vocals from Pitbull, Jennifer Lopez and Claudia Leitte. As a partner of the German Football Association, the German airline Lufthansa renamed itself "Fanhansa" on some of its planes that flew the German national team, media representatives and football fans to Brazil. The sponsors of the 2014 World Cup are divided into three categories: FIFA Partners, FIFA World Cup Sponsors and National Supporters. The broadcasting rights – covering television, radio, internet and mobile coverage – for the tournament were sold to media companies in each individual territory either directly by FIFA, or through licensed companies or organisations such as the European Broadcasting Union, Organización de Televisión Iberoamericana, International Media Content, Dentsu and RS International Broadcasting & Sports Management. The sale of these rights accounted for an estimated 60% of FIFA's income from staging a World Cup. 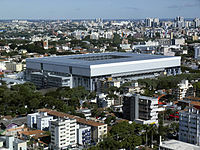 The International Broadcast Centre was situated at the Riocentro in the Barra da Tijuca neighbourhood of Rio de Janeiro. The 2014 FIFA World Cup generated various controversies, including demonstrations, some of which took place even before the tournament started. Furthermore, there were various issues with safety, including eight deaths of workers and a fire during construction, breaches into stadiums, an unstable makeshift staircase at the Maracanã Stadium, a monorail collapse, and the collapse of an unfinished overpass in Belo Horizonte. The houses of thousands of families living in Rio de Janeiro’s slums were cleared for redevelopments for the World Cup in spite of protests and resistance. Favela do Metrô, near the Maracanã Stadium, was completely destroyed as a result, having previously housed 700 families in 2010. Prior to the opening ceremony of the 2013 FIFA Confederations Cup staged in Brazil, demonstrations took place outside the venue, organised by people unhappy with the amount of public money spent to enable the hosting of the FIFA World Cup. Both the Brazilian president Dilma Rousseff and FIFA president Sepp Blatter were heavily booed as they were announced to give their speeches at the 2013 tournament's opening, which resulted in FIFA announcing that the 2014 FIFA World Cup opening ceremony would not feature any speeches. Further protests took place during the Confederations Cup as well as prior to and during the World Cup. At the Group B match between Spain and Chile, around 100 Chilean supporters who had gathered outside Maracanã Stadium forced their way into the stadium and caused damage to the media centre. Military police reported that 85 Chileans were detained during the events, while others reached the stands. Earlier, about 20 Argentinians made a similar breach during Argentina's Group F game against Bosnia and Herzegovina at the same stadium. During the tournament, FIFA received significant criticism for the way head injuries are handled during matches. Two incidents in particular attracted the most attention. First, in a group stage match, after Uruguayan defender Álvaro Pereira received a blow to the head, he lay unconscious. The Uruguayan doctor signaled for the player to be substituted, but he returned to the match. The incident drew criticism from the professional players' union FIFPro, and from Michel D'Hooghe, a member of the FIFA executive board and chairman of its medical committee. 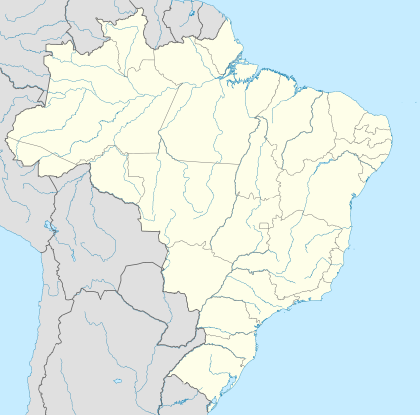 ^ The Brazilian Portuguese pronunciation is [ˈkɔpɐ du ˈmũdu da ˈfifɐ bɾaˈziw ˈdojz ˈmiw i kaˈtoʁzi], in Brazil's standard pronunciation. ^ Bosnia and Herzegovina was until 1992 part of Yugoslavia, which competed at eight World Cup tournaments. ^ The Arena Pernambuco is located in São Lourenço da Mata, Recife. ^ In 1938's round of 16, two games were also tied after extra-time, but those were replayed instead. ^ Mason, Peter (13 July 2014). "Lionel Messi wins Golden Ball award for best player of World Cup". The Guardian. ^ "Pogba wins Hyundai Young Player Award". FIFA.com. ^ "Manuel Neuer wins golden glove award". NDTV Sports. Agence France-Presse. 14 July 2014. Archived from the original on 16 July 2014. Retrieved 6 January 2019. ^ "Colombia national team wins FIFA's Fair Play award at 2014 World Cup". Colombia Reports. ^ "FIFA launch GLT tender for Brazil 2013/14". FIFA.com. 19 February 2013. ^ Passarinho, Nathalia; Matoso, Filipe (14 July 2014). "Em balanço da Copa, Dilma diz que Brasil derrotou prognósticos 'terríveis'". G1 (in Portuguese). Grupo Globo. ^ "If the World Cup started tomorrow". ESPN FC. 12 June 2013. ^ Owen, David (14 July 2014). "Battle of the Brands: Adidas lifts the World Cup, but Nike scores most goals". Inside World Football. Retrieved 14 July 2014. ^ "Numbers Game: All the stats from Germany's fourth World Cup triumph". Firstpost. 14 July 2014. Retrieved 14 July 2014. ^ "2014 FIFA World Cup to be held in South America". FIFA.com. 7 March 2003. ^ "Rotation ends in 2018". FIFA.com. 29 October 2007. ^ "Brazil may lose the right to hold World Cup 2014". Pravda.Ru. Retrieved 25 June 2014. ^ "Brazil confirms bid – Colombia withdraws". FIFA.com. 13 April 2007. ^ "Brazil confirmed as 2014 hosts". FIFA.com. 30 October 2007. ^ a b c "FIFA/Coca-Cola Rankings". FIFA.com. 5 June 2014. Retrieved 11 June 2014. ^ "1 day to go". FIFA.com. 11 June 2014. ^ "Pot 1 seeds set for Brazil 2014 draws". FIFA.com. 17 October 2013. Retrieved 23 November 2013. ^ a b "Draw procedures approved". FIFA.com. 3 December 2013. Retrieved 3 December 2013. ^ "Final draw procedures" (PDF). FIFA.com. 3 December 2013. Retrieved 3 December 2013. ^ "Final Draw reveals intriguing groups". FIFA.com. 6 December 2013. ^ "A team of stars for the draw". FIFA.com. 5 December 2013. ^ "Referee trios and support duos appointed for 2014 FIFA World Cup". FIFA.com. 15 January 2014. ^ "Referees & assistant referees for the 2014 FIFA World Cup" (PDF). FIFA.com. ^ "Referee designations for matches 1–4" (PDF). fifa.com. 10 June 2014. ^ "2014 FIFA World Cup™ - Matches - FIFA.com". FIFA.com. ^ a b c d e f "Regulations – FIFA World Cup Brazil 2014" (PDF). FIFA.com. ^ "Host cities in 1950 FIFA World Cup". Colunas.globoesporte.com. Retrieved 9 October 2011. 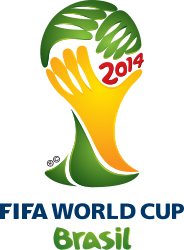 ^ "2014 FIFA World Cup: Luck of the draw 'an essential component'". BBC Sport. British Broadcasting Corporation. 2 December 2013. ^ a b "Team Base Camps for Brazil 2014 announced". FIFA.com. 21 January 2014. ^ "FIFA Fan Fest locations confirmed". FIFA.com. 20 January 2014. ^ a b c d e f g h i j k l m 2014 FIFA World Cup Brazil Venues. FIFA.com. 18 January 2012. Retrieved 12 June 2014. ^ "Team Base Camps Brochure" (PDF). FIFA.com. 7 November 2013. ^ "Most teams pick bases in south east Brazil". BBC Sport. British Broadcasting Corporation. 1 February 2014. ^ "World Cup 2014 FanCamps and FanFests". Archived from the original on 3 February 2014. Retrieved 8 August 2012. ^ "FIFA Fan Fest locations confirmed". Retrieved 20 January 2014. ^ "Ronaldo kicks off FIFA Fan Fest". 9 June 2014. ^ "Behind the Scenes with GoalControl". Deutsche Welle. Archived from the original on 14 July 2014. Retrieved 14 July 2014. ^ "World Cup 2014: Goal Control goal-line technology to be used in Brazil". Yahoo! News. Retrieved 14 July 2014. ^ WOLDE, HARRO TEN (29 May 2014). "German firm behind goal-line technology looks beyond World Cup". Reuters. Thomson Reuters. Retrieved 14 July 2014. ^ Gibbs, Samuel. "World Cup goalline technology: how does it work?". The Guardian. Retrieved 18 June 2014. ^ a b Howells, Richard (11 June 2014). "World Cup 2014: Adidas "Brazuca" Ball Scores With Fans". Forbes. Retrieved 14 June 2014. ^ "adidas Brazuca – Name of Official Match Ball decided by Brazilian fans". FIFA.com. Retrieved 3 September 2012. ^ "Brazuca – an icon is born". Adidas. Adidas Group. Archived from the original on 2 July 2014. Retrieved 14 June 2014. ^ "adidas brings brazuca into the world". FIFA.com. 3 December 2013. Retrieved 4 December 2013. ^ "FIFA approves extra breaks to help players keep their cool". Inside World Football. 7 October 2013. Retrieved 18 June 2014. ^ "Heat forces first cooling breaks in Brazil". BBC Sport. British Broadcasting Corporation. Retrieved 2 July 2014. ^ "A cool first and a historic triumph". FIFA.com. Retrieved 1 July 2014. ^ Hicks, Brandon (29 June 2014). "FIFA World Cup: Netherlands 2, Mexico 1". CBC Sports. Retrieved 1 July 2014. ^ FIFA World Cup 🏆 [@FIFAWorldCup] (29 June 2014). "LIVE: #MEX & #NED players take 1st cooling break at a #worldcup #NEDMEX -" (Tweet) – via Twitter. ^ "Match Report". FIFA. Retrieved 1 July 2014. ^ "All pre-FIFA World Cup doping controls test negative". FIFA.com. 14 June 2014. Retrieved 24 June 2014. ^ "Doping controls at the World Cup in Brazil leave a lot to be desired – Sports News | Latest Sports Results & Fixtures | The Irish Times – Sat, Jun 07, 2014". The Irish Times. 7 June 2014. Retrieved 24 June 2014. ^ Rumsby, Ben (21 June 2014). "World Cup 2014: Diego Maradona accuses Fifa of drug testing conspiracy against Costa Rica". The Telegraph. London. Retrieved 24 June 2014. ^ "Match schedule for 2014 FIFA World Cup unveiled". FIFA.com. 20 October 2011. ^ "Match schedule for Brazil 2014 confirmed". FIFA.com. 7 December 2013. ^ "Brazil 2014: Opening ceremony". FIFA.com. 12 June 2014. ^ "Iran 0–0 Nigeria: Super Eagles play out World Cup's first goalless draw". Daily Mail. London. 16 June 2014. ^ "Group stage goal glut brightens World Cup". Deutsche Welle. 26 June 2014. ^ "World Cup 2014: Statistical XI versus your tournament XI". BBC Sport. British Broadcasting Corporation. 27 June 2014. ^ "Statistically the greatest World Cup?". BBC News. British Broadcasting Corporation. 27 June 2014. ^ "Spain aims to avoid worst ever World Cup defense". USA Today. 21 June 2014. ^ a b "Referee designations for matches 1-4" (PDF). FIFA.com (Fédération Internationale de Football Association). 10 June 2014. ^ "Belgium complete a World Cup record as all eight group winners make it to the quarter finals for the first time". Daily Mail. London. 2 July 2014. Retrieved 2 July 2014. ^ Hicks, Brandon (1 July 2014). "World Cup Round of 16: By the numbers". CBC News. ^ Setterlund, Carl (28 June 2014). "Colombia topples Uruguay to reach first World Cup quarterfinals". Retrieved 20 September 2015. ^ Pye, John (29 June 2014). "Costa Rica Beats Greece 5-3 to Advance to Their First Ever World Cup Quarterfinal". Time. Archived from the original on 8 July 2014. ^ Agence France-Presse (1 July 2014). "World Cup 2014: Belgium Beat USA to Set Up Quarterfinal Clash vs Argentina". NDTVSports.com. Archived from the original on 4 March 2016. Retrieved 3 July 2014. ^ Starcevic, Nesha. "Klose Sets Record That Compounds Brazil's Defeat". ABC News. American Broadcasting Company. Associated Press. Archived from the original on 8 July 2014. ^ "Klose travels anomalous path to become all-time top World Cup scorer". www.leaderpost.com. Archived from the original on 15 October 2014. ^ "World Cup 2014: Netherlands pile more misery on Brazil in third place play-off". The Sydney Morning Herald. Agence France-Presse. 13 July 2014. ^ "World Cup 2014: James Rodriguez wins Golden Boot". 13 July 2014. Retrieved 29 March 2019. ^ "adidas Golden Boot". FIFA.com (Fédération Internationale de Football Association). Retrieved 18 June 2014. ^ "Luis Suárez suspended for nine matches and banned for four months from any football-related activity". FIFA.com. 26 June 2014. Archived from the original on 3 July 2014. Retrieved 30 June 2014. ^ De Menezes, Jack (26 June 2014). "Luis Suarez banned: Fifa hand striker record nine-game ban AND a four month football ban for biting Giorgio Chiellini in biggest ever World Cup suspension". The Independent. London. Retrieved 26 June 2014. ^ "Luis Suárez banned for four months for biting in World Cup game". The Guardian. 26 June 2014. Archived from the original on 6 July 2014. Retrieved 26 June 2014. ^ Orr, James (14 August 2014). "Luis Suarez biting appeal: CAS uphold ban, but striker can make Barcelona debut on Monday and train with new team-mates". The Independent. London. ^ "2014 FIFA World Cup – Awards". FIFA.com. ^ "Messi heralded as Brazil 2014's best". FIFA.com. 13 July 2014. ^ "adidas Golden Ball candidates announced". FIFA.com. 11 July 2014. ^ "Messi, Neuer heralded as Brazil 2014's best". FIFA.com. 13 July 2014. Retrieved 14 July 2014. ^ "Finalists in contention for Golden Glove". FIFA.com. 11 July 2014. Retrieved 14 July 2014. ^ "Depay, Pogba and Varane make up Hyundai Young Player Award shortlist". FIFA.com. 11 July 2014. Retrieved 14 July 2014. ^ "Technical Study Group". FIFA.com. 9 June 2014. Retrieved 14 July 2014. ^ "Latest News". FIFA.com. 9 July 2010. Retrieved 14 July 2014. ^ "adidas Golden Ball". FIFA.com. 30 May 2014. Retrieved 14 July 2014. ^ "2014 FIFA World Cup Dream Team". FIFA.com. ^ "FIFA Announces 2014 World Cup 'Dream Team' as Voted On by Fans". Bleacher Report. 23 July 2014. ^ "Castrol Index Top 11". FIFA.com. Archived from the original on 11 July 2014. Retrieved 14 July 2014.